Why podcasts can change the world. There's a photo* of me in a family album, where I'm 3 or 4 years old, freshly bathed, sitting on a stool at the kitchen counter, holding my faded green sippy-cup, filled with warm milk, and attentively staring at the radio. Every evening at 19h00, Radio Sonder Grense broadcasted children's stories. And every evening at 19h00, I was bathed, dressed in pyjamas and sitting at the counter with my hot milk, awaiting the next episode. I loved those radio-stories! The blonde-haired toddler was transported to another world - a world I built with my imagination. *Sadly, I don't have the photo. All the family albums are in storage in Pretoria, while my parents live overseas. 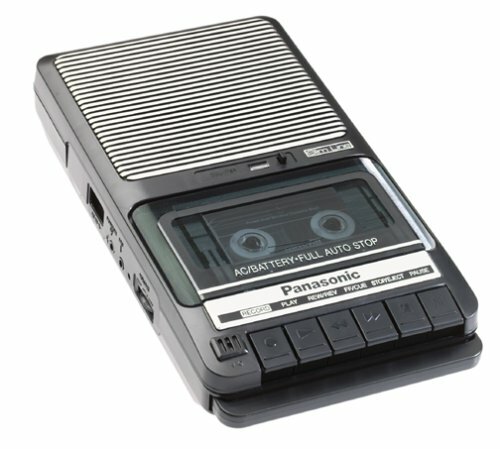 Then, my parents got my brothers, my sister and I a cassette-player. One that looked exactly like the one in the photo below. And with the cassette-player... Storieman! It's a series of cassettes with kids' stories and a book to accompany each cassette. They were amazing! 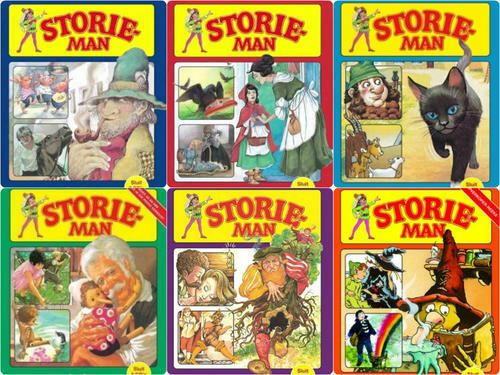 I remember us sitting on the carpet in our rooms, listening to Storieman. We looved it! Here's an example I found on YouTube of one of the stories. Our tape-player looked exactly like this. And then, TV killed the radio star... With the release of Afrikaans stories like: Heidi, Dawie die Kabouter, Pinnochio, Nils Holgerson, Brakkenjan... the list goes on, my interest in radio quickly faded and TV became king. 1. There's a lot of garbage on the radio. Since I spent so much time on the road I figured I might as well listen to something constructive. But, the Apple Podcast App was (and still is) frustratingly unintuitive. So, I quickly moved on to audio books. "Educating girls and women is the best way to fight poverty and build peace"
This seemed like a really interesting problem to both of us, and we started doing some research into the global education problem. It's pretty harrowing. Children account for nearly half of the world's extreme poor. Our current education system is not geared to meet this shortfall. You can't scale teachers. And screen-based devices are not suitable for developing markets. They're expensive to produce and to repair, break easily, get stolen, require charging etc. Our education system as it is now, needs innovation. We've seen an injection of innovation in tertiary education a about 8 years ago with the rise of MOOCS via platforms like Coursera. And Khan Academy is doing great work reaching kids who can access computers with internet. But the majority of the 263 million children who were not able to go to school today, nor tomorrow...don't have access to computers. Nor the internet. Most likely not even clean drinking water. Audio content, however, has remained largely unexplored in education. It's scalable, cheap and doesn't require a teacher, a classroom, a textbook or a screen. So, after connecting some dots, Joe and I founded Jolp. Jolp, short for "Joy Of Learning Pod", is an audio learning platform for young girls, aged 6 to 16. The content focusses on subjects like Science, Maths, Biology and Geography. Fact-based subjects. Subjects for which we can create universal content. The most important thing about the content, is that it's all story-based. Storytelling is the world's oldest form of teaching, and stories can teach science and biology fundamentals in a fun and engaging way. The learning pod is essentially a $5 device that contains 500-hours of learning! Our mission at Jolp? An educational abundant society. We want girls all over the world, to be able to experience the joys of learning! Because if we continue to neglect girls’ education, it is evident that the consequences will be felt for generations. We're on the brink to start fundraising! If Jolp sounds fun and interesting to you, and if you want to share ideas, help us code, become a content moderator... or if you're a teacher, a parent... please get in touch. We'd love to chat to you.